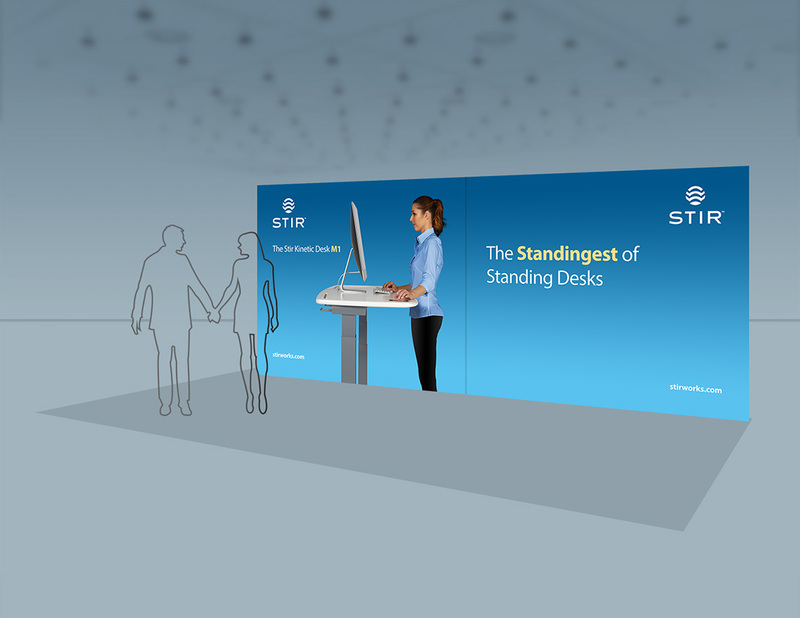 How best to highlight Stir's uniqueness in the midst of a busy trade show? Too often, trade show booths present too much information crammed into too little space. Pertinent information ends up lost "below the fold" (the area most people cannot see from afar due to others blocking their view). And exhibitor guides suffer from overload as well. 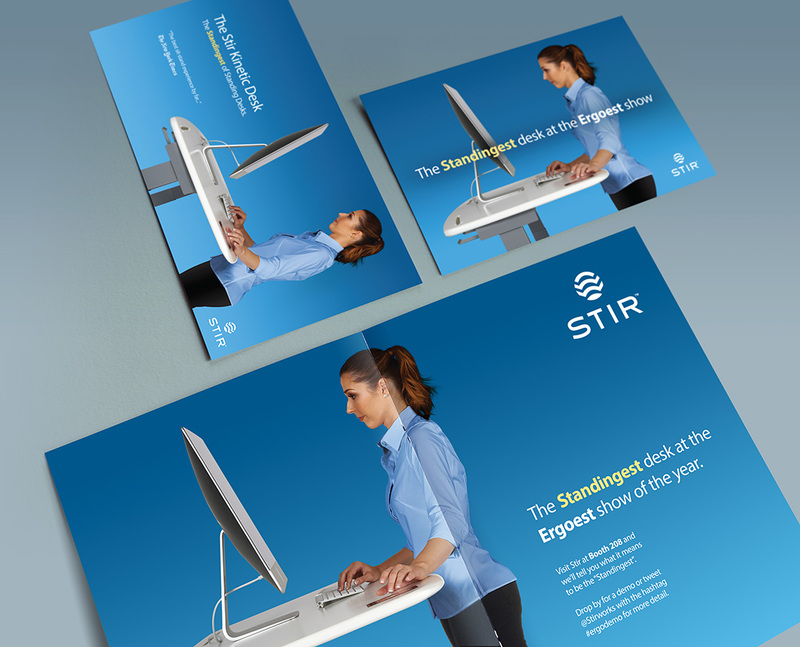 I kept these issues in mind while designing Stir's trade show booth materials. I decided to present major messaging and branding in the upper half of the backdrop and include open space so the messaging could "breathe." I employed a similar rationale in creating the other supplementary trade show marketing materials.